Hi everyone! Hope you all have a lovely weekend planned? 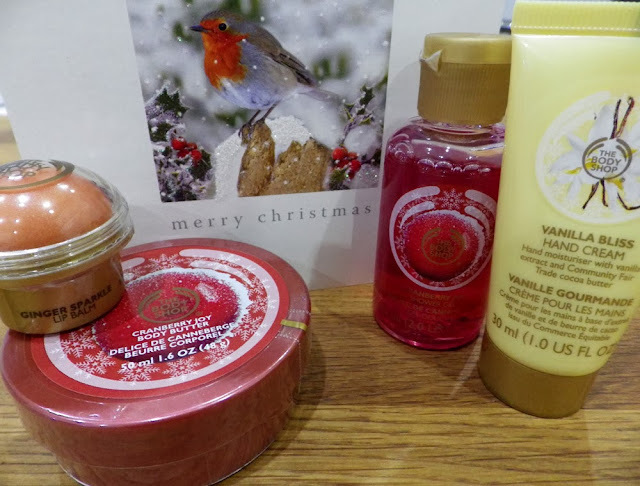 I just thought I'd let you know that I'm currently running a Christmas Twitter giveaway to win some festive themed products from The Body Shop, as seen in the above picture. For your chance to win a Ginger Sparkle Lip Balm, Cranberry Joy Body Butter, Cranberry Joy Shower Gel and Vanilla Bliss Hand Cream, all you have to do is follow me on Twitter (@beauty__bird) and retweet the giveaway status, which you can find here. The giveaway will run until 8.30pm on Sunday 8th December. Good luck! 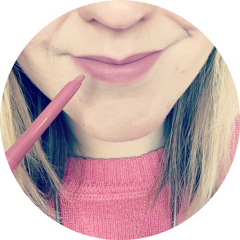 You are more than welcome to join mine too - Benefit set to get! I've given it a cheeky RT, I bet that bundle smells uh-mazing!